From its location in the prestigious Wangfujing area, Beijing Clubhouse keeps a finger on the pulse of the capital. So when we roll out the red carpet for our four-day, three-night culinary tour, we give Members Beijing up close and personal. Beijing offers history, architecture old and new, shopping, art districts, tradition and of course, food. On our culinary tour, we'll sample some of each. 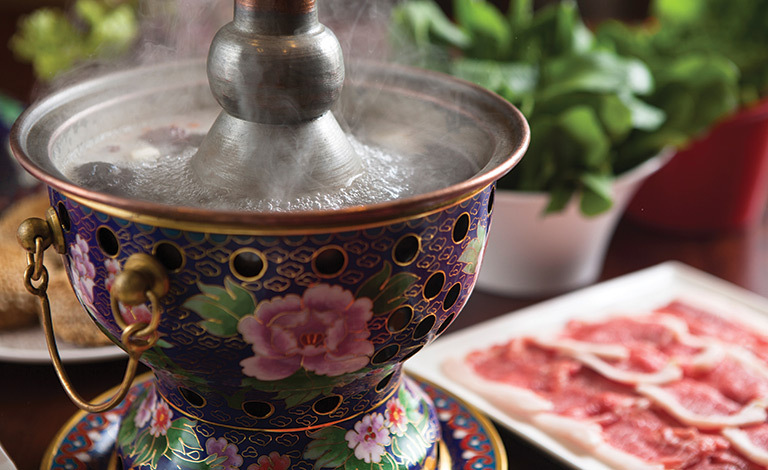 You’ll enjoy a Hairy Crab feast at The Capital, traditional mutton hotpot at a Beijing-style eatery, and with the new emphasis on regional cuisine, you'll visit Huaiyangfu for Huaiyang delicacies. You'll also dine at the acclaimed vegetarian restaurant King’s Joy, located in a hutong near the Lama Temple. There’s tradition as well: a visit to the famous Guanfu Museum; a face-changing performance; a visit to the Nanxiao Street Market with the Club's Executive Chef; lessons in how to make fish fillets in hot chilli oil, pan-fried sweet cakes with sesame paste, and sauteed river shrimps with Longjing tea. The tour includes three nights’ luxurious accommodation at the Club, breakfast, welcome and farewell dinners and transport within Beijing. And with a tour scheduled for late November, it’s just in time for festive shopping.